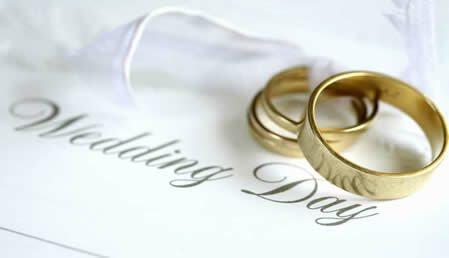 If you are interested in a wedding at Calvary, please contact us. For information, you may also download our Wedding Booklet and our Wedding Contract. A signed Wedding Contract and $150 deposit is required to secure your wedding date reservation. If you are interested in a wedding outside of Calvary, but to be performed by one of Calvary’s pastors, please contact the church office for more information. God bless your upcoming union!